The New York Times published a great investigative report on the little dirty secrets behind many social media “influencers” on January 27. If you are a higher ed marketer or a digital communicator and you haven’t read it yet, schedule some quiet time (it’s a 15- to 20-minute read) to do it. 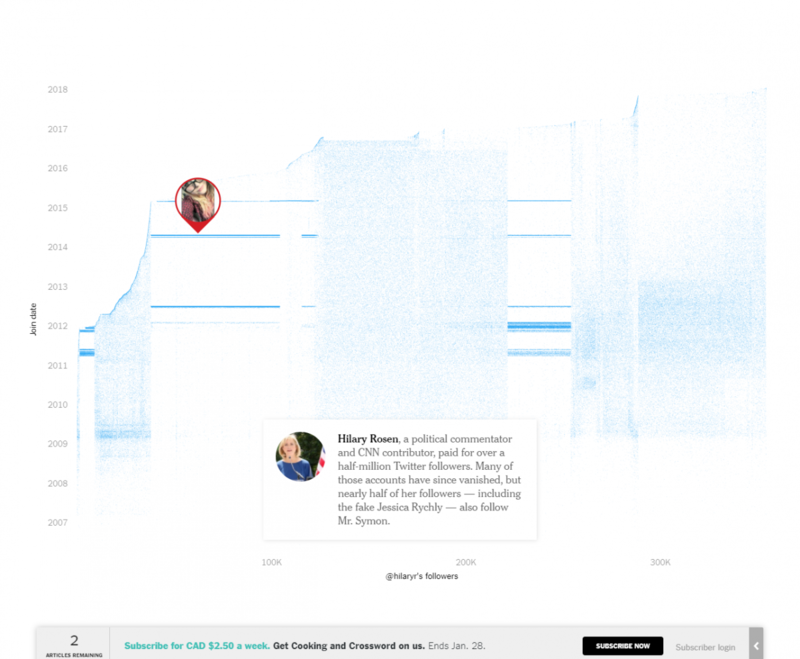 It’s a great feature-long article beautifully enriched with multimedia and data elements. 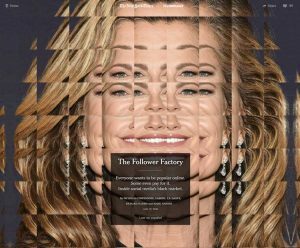 In “The Follower Factory,” we learn how Devumi, a digital agency pretending to be located in New York City, has managed to sell millions of fake Twitter followers (bots impersonating real Twitter users), retweets and likes to many social media influencer wannabees but also high-profile professionals searching for the validation – and the dollars – that comes today with a large social media following. The system uncovered in this NYT piece is at the core of the thriving social media influencer market where brands and agencies pay big money to people with a following in the 5 to 7 digits for a single endorsement in a social media post – up to $20 000 a pop according to the article. This is a perfect example of what happens when success is only measured through vanity metrics: total followers, likes or favorites and retweets or shares. These platform-reported feel-good metrics are supposed to measure awareness and engagement to indicate brand health. But, are they measuring anything real? When organizations, companies or institutions obsess so much about metrics that only measure a small part of the big picture, gaming the system becomes an easy option. And, so many take the shortcut to big dollars. While it’s true that followers can attract followers thanks to the snowball effect of perceived popularity, a follower strategy focused only on quantity will always have a negative impact on quality – even without bots. What’s the point in being followed by people who are not part of your target audience – unless maybe you are a national consumer goods brand and targets anybody with a pulse? Your school can do better than focusing on its follower totals on the different social media platforms – even if everybody else does it. Instead, it can spend its resources on reaching a percentage of its constituents. Demographics analysis of your audience has to be part of your social media measurement plan. Quality matters. The fact that Twitter has been so slow to go after bots and bot factories shows how much they are part of a very profitable – if not ethical – ecosystem. Twitter seems to turn a blind eye on the practice (well, officially, they are against it), even though it comes with diminishing returns for publishers playing by the rule and increases noise in what used to be a very lively – sometimes quirky but mainly fun – social media party. Remember Twitter before the bot invasion of 2016? The tactics described in the NYT piece are reminiscent of the worst days of SEO farms where millions of dollars where poured into this other profitable – if not ethical – ecosystem to game it as much as possible, leaving in its wake a very bad experience to end users. Back in the darkest days of SEO farms, a top search result didn’t always mean quality. And, everybody was losing: users who had to chase down relevant entries in the search results and website owners who had spent time playing by the rules of the search engine robots. Google’s answer in its fight against this kind of spam was to direct subsequent innovations toward a better understanding of meaning, a fine use of artificial intelligence where algorithms were optimized to deliver results that would make more sense for the end user. By keeping Church and State separated, the optimization of organic and paid listings, Google has improved the quality of its search so much that it had to increase the number of paid listings at the top of search result pages, integrating them further so they would look more like organic results. What Google didn’t do (too much?) is to optimize its organic algorithms to the point where they will lose all their value to end users. When you optimize based on the wrong metric, you make yourself more susceptible to the kind of gaming at play in followers factories. 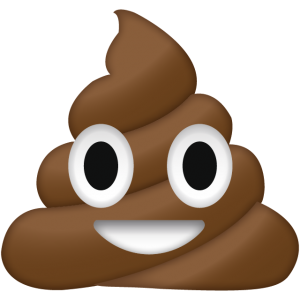 Poop in the social media pool? The culture of the shortcut, justified by the lack of time we all suffer from, is what makes this type of practices possible. By refusing to spend the time to identify true influencers, run small pilots and look at the metrics that matter to the bottom line, agencies and brands have literally pooped in the pool, ruining it for everybody. I’m not sure that the solution is to have everybody get out, so some chemical can be used to clean the water. But, there’s definitely a need to target the bad bacteria before it reproduces too much and end up wiping out all living organisms in the fine ecosystem that social media has become over the years. Everybody gets hurt if nothing is done. That cleaning needs to be done by the platforms, but higher ed social media professionals can mitigate the impact of these worst social media practices by embracing a more strategic approach to social media. Research and segment our target audience, the audience we want to reach, engage and convert on social media. By doing your homework early in the game, you will stop to optimize for the wrong biggest number. Integrate our social media initiatives to our customer relations management (CRM) system. If you can follow your prospects throughout the student journey, you will be able to pinpoint the role social media plays in that journey. Look at the entire student journey. Your unit might not be in charge of recruiting students, but you need to identify the link between what you do and real outcomes. This isn’t easy and require to bust silos and further integrate data, but only by doing this will you actually be able to measure what really matters. What the New York Times uncovered in “The Follower Factory” isn’t the result of a failure of data, it’s a failure of focusing on the data that really matters. We can avoid this kind of mistakes by having more people educated in understanding, collecting and analyzing data. Ignorance is definitely not bliss. 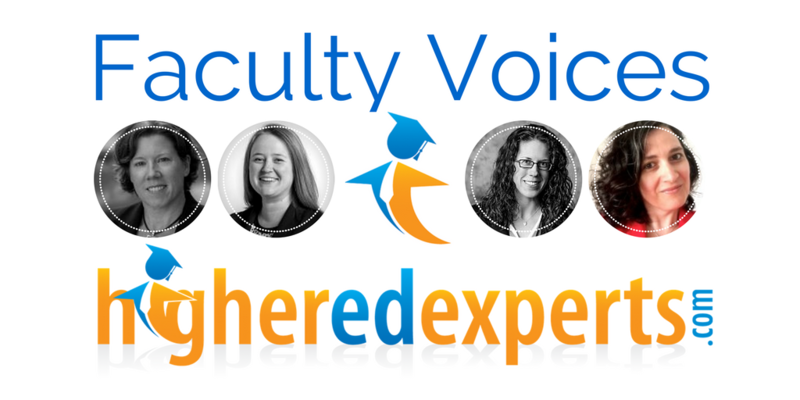 Higher Ed Experts is a professional online school for digital professionals working in universities and colleges. When you take a professional certificate course with us, you get a chance to upgrade your skills by working on your projects, interacting with classmates just like you and getting detailed personalized feedback from your instructor. 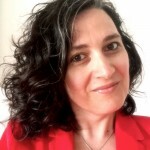 Karine Joly founded Higher Ed Experts in April 2007 and teaches Higher Ed Expert’s 8-week online course on Social Media Marketing for Higher Education. She oversee the development of the professional development curriculum for the school. She shares her insights about emerging web and social media trends on collegewebeditor.com, a popular and independent blog launched in February 2005. She also authors the Internet Technologies column for University Business. Karine has presented on social media marketing, web analytics and online courses at leading higher ed conferences (CASE, American Marketing Association, EduComm, eduWeb, CUPRAP, HighEdWeb, PSEweb, UB Tech, etc. ).